Cute ‘n’ cuddly…Pomeranians – Poms as we lovingly call them, are one of the most popular doggie breeds around the world. Always keeping their sunny side up, they are quintessential sweetheart pooches. These happy-go-lucky doggies are tender yet tough… dainty yet daring…freewheeling yet alert. Woof! Woof! Let’s explore more about these angelic and ever-cherubic pooches. The Pomeranian is a natural charmer…he enjoys the human companionship the most. Being loved and pampered all the time…is any Pom’s dream. They are always active and playful…with loads of affection and faithfulness. Their typical ‘PowderPuff’ looks make them ideal pets at home. They had a glorious past of sharing their lives with who’s who of myriad fields. These Poms were proudly owned by Michelangelo, Sir Isaac Newton, Mozart, Martin Luther, etc. If that was past, present is also equally glorious, Paris Hilton’s pet Pom is always dressed to match her hot-mom and Nicole Richie has named her Pomeranian – Foxxy Cleopatra (Austin Powers). The ‘Pomerania’ – a place on the south coast of the Baltic Sea, divided between Germany in the west and Poland in the east, is the place, where these furryfriends were developed in the 8th century. In the last decade of 18th century, they reached England and enjoyed imperial opulence as pets of Queen Victoria…and later Queen herself christened them as Pomeranians, in honour of their homeland. Queen Charlotte and Queen Victoria made them popular as noble pets. At that time, this breed was much bigger than what we have today. After getting recognized by American Kennel Club in 1900, breeders successfully reduced their size to give them remarkable ‘PowderPuff’ appearance. The Poms are small dogs with short neck and small feet. They stand about 7 to 8 inches tall and weigh from 3 to 7 pounds. They have got wedge-shaped head with little ears…always alert, and short and fine muzzle. The almond shaped eyes with oh-socute looks always make pets lovers go weak in the knees. The tail is characteristic of the breed, which is turned over the back and carried flat, set high. In newborns, tail is not developed or spread out…but within a couple of months, the tail grows to Pom’s back. The neck is short with its base set well into the shoulders to allow the head to be carried high. The back is short with level top line. The body is compact and well ribbed. He is medium boned and the lengths of his legs are in proportion to a well-balanced frame. The forelegs are straight and parallel to each other. He stands well up on his toes. The angulation of the hindquarters balances that of the forequarters. The buttocks are well behind the set of the tail. The thighs are moderately muzzled with stifles that are moderately bent and clearly defined. The Pomeranian has soft and fluffy fur coat with coarse undercoat. The outer coat is soft and furry, where as inner coat is long, straight and coarse. The long and dense fur around the neck adds more to their beauty, by forming a frill. The coat colour can be of various shades, which include white, black, brown, chocolate, red, orange, cream, sable, light or dark blue. Moreover, they can also be parti-colour, with several hues of happiness. Despite long-furry looks, actually this is a muscular breed, which is hidden under the attractive fur-coat. 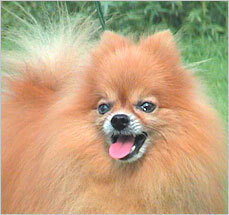 The most popular colours for Pomeranians are orange in various shades ranging from light to dark. Pomeranians are any pooch lover’s delight… they are active, intelligent, courageous, loyal, lively, spunky, curious, alert…Woof! they are just the best companions. The friendly and outgoing behaviour of Poms is one of their best qualities. They want attention and love all the time. They just love to sit in the lap, and get petted…hence also known as lap dogs. Their intelligence and reasoning powers are almost uncanny and they can seem to understand your every word. One Pomeranian is fun but more than one and the fun is multiplied many times over. They get along well with kids and family members, if they are trained well. Otherwise, they need supervision, while socializing, especially with little kids. They can be easily trained and are fast learners. As they say ‘sooner the better,’ if we start training them early, we will get one of the most obedient and well-behaved pooch. They are very confident and commanding too. They love to walk and roam…with high energy levels, one will hardly find them lazing around. As they like to exercise less, they are the perfect apartment pets…and live well in both, an apartment as well as an open house. Pomeranians are highly suspicious of strangers and unknown noises…and become alert on sensing any such things. So, they are good watchdogs; moreover, they have a shriek bark, which adds to their guarding capabilities. “Pomeranians have on outgoing bouncy personality with a big dog attitude. They are intelligent and always eager to please,” added G Sudheer of VICK VIN POMS kennel. As Poms have double coat, they need to be brushed daily, which is required to avoid matting and tangling. This breed sheds more (once or twice a year), so harsh combing must be avoided. And coat should be trimmed regularly. For Pomeranians, we will not recommend frequent baths, as it can damage the skin and fur by removing essential oils from the body. Harsh shampoo also causes dandruff and fur loss. 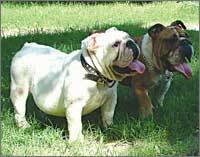 The eye, nail and dental care are extensively required for this breed. It is advisable to trim the nails weekly, whereas teeth and eyes need daily care. The eyes should be cleaned properly with water daily. In addition to grooming, excellent dental care is most important for them. They are prone to tooth loss; so, regular dental care is must. Dry food is helpful in keeping teeth and gums healthy. Poms look highly cute and cuddly as pups, but bringing them up is an uphill task. Once, you have Pom pup at home, you need to bear with excessive barking…as there’s a noisy unrest all the time, When you are caring for your Pomeranian puppy…and he barks, never shout at them… simply say “NO!”…This is the easiest way you can train him to avoid excessive barking. “Poms at young age are little noisy, but as they grow, they listen to their parent. And at the same time, they are very alert and good watch dog at your home,” assured Sudheer. Our loving Pomeranians are very popular and sought after breed for their many fine personality attributes and unmatched looks coupled with royale gait. To pet a Pom is a great experience…no words can express that exuberance. Here’s wishing happy Pom parenting. His appearance is natural and rustic, his behaviour self-assured, steady and fearless. His gait is balanced and powerful, his motion effortless and efficient. He is calm and courageous and he seldom barks. He is a Rottweiler – who is a perfect pooch companion–strong, good-looking, calm and composed. One look at a Rottweiler and you are bound to respect him for his strength and endurance, such is the charisma of Rotties. His look is intelligent, alert and bold. “He is a medium to large size, stalwart dog, neither heavy nor light and neither leggy nor weedy. His correctly proportioned, compact and powerful build spreads an aura of great strength and agility,” tells Kalaiselvi Venkatesan of Vom Ragnborg, the breeder of Rottweilers in Chennai. Rotties are black beauties with hints of tan or mahogany. Two upsidedown triangles can be clearly seen on his chest while his cheeks sport spots. Other marking areas include muzzle, eyebrows, legs and base of the tail. “Perhaps their most distinct features are good head and strong back which gives an appearance of overall strength and vigour,” adds Kalaiselvi. This medium-sized dog is muscular and athletic. He has a medium length coat. His undercoat is waterproof and present on neck and thighs while topcoat is dense, coarse and straight. His eyes are brown and give a warm and loyal look to his face, which in turn is placid. His ears are placed wide apart and are small, triangular in shape. The height of males is 24-27 inches while that of females is 22-25 inches and they weigh around 50 kg and 45 kg respectively. Training and early socialisation is all that is required to make Rottie a perfect companion. He is reliable, quick to learn and is extremely fond of children and loves to play. He is clever and can clearly distinguish between kids and adults and behave accordingly. He is very gentle and cautious with kids. “Since they are powerful dogs with lots of confidence, they are very tolerant towards kids,” adds Kalaiselvi. He will be devoted to you and crave for your attention and will simply love to please you. He will protect you, your home and your family – just the pawfect guardian. Lack of human companionship can cause behavioural problems in them. Also, keep them mentally stimulated and see them bloom. In one sentence, Kalaiselvi describes Rotties as good natured, placid in basic disposition, very devoted, obedient, biddable and eager to work. It is important to provide balanced nutritive diet according to the stages of growth. Also provide clean water at all times. Give him adequate exercise, socialise him and give him basic obedience training. Rotties are dominant by nature and so they should be trained from the very beginning to accept you as the pack leader. Equally important is early socialisation to make them familiar with people, other pets in the house and different situations. “Living with a well socialized Rottweiler is just like living with any of your family members. They understand your moods and thoughts well and anticipate your reactions to different situations. Since they are extremely intelligent and laidback breed, it is a real pleasure to have them as a family member,” tells Kalaiselvi. They do not bark much and more often, it is a sign of annoyance or protecting their dens, in case of females. Regular brushing with a bristle/slicker brush/hand glove is needed to remove the dead hair and add shine to the coat by stimulating the oil glands. The correct procedure is to first groom in the direction opposite to that of hair growth for around 10-15 minutes and then along the direction of hair growth for about 10 minutes. They are not heavy shedders but shed during certain periods of time. Their eyes should be regularly cleaned with wet cotton. Though Rotties are tough and hardy, but still they are prone to genetic diseases like canine hip and elbow dysplasia and osteosarcoma. All in all, Rottweiler is a real pleasure to be around. Just bring home one and experience it yourself. Bold, confident, intelligent, energetic and charismatic…a Dachshund has all the qualities you would like in your canine friend and the bonus point is that all this is bundled into a small-sized dog who can easily live with you in your apartment. As a young boy, I loved bigger breeds like Dobermans and Rottweilers and was successful in breeding good Rottweilers. My passion for Dachshunds started accidentally and will remain one until my last breath. It so happened that a photographer friend of mine who was immensely fond of Dachshunds called me up in the middle of the night, requesting me to house his Dachshund puppy for the night. That time, I had a beautiful male Rottweiler called Bobby, a massive dog with a sound temperament. I was apprehensive about Bobby’s reaction but my friend insisted and left his puppy with me. In the morning, as soon as my maid opened the door to get the milk, the puppy darted out. Bobby was unleashed and the whole house was in commotion. I ran out only to find Bobby standing in front of the puppy with his hair on his back fully raised. I was alarmed but surprisingly the puppy looked cool. I kept calling Bobby’s name and slowly swooped the puppy into my arms. In about two day’s time, the puppy was playing with Bobby and they became the best of pals. Such is the charisma of Dachshunds! This first experience with the Dachshund was so intriguing that I started importing Dachshunds from all over the world. I soon realised that one was not enough for me, and today I have 18 of them and they run my life. 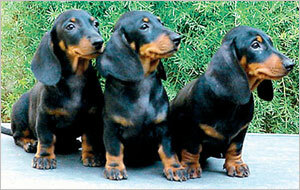 Do not go with the size of these dogs as undoubtedly Dachshunds are big dogs in small packages. The Dachshund is a short-legged, elongated dog breed of the hound family. The breed’s name is German and literally means “badger dog.” The standard size was developed to scent, chase, and hunt badgers and other hole-dwelling animals, while the miniature was to hunt rabbits. Due to the long, narrow build, they are sometimes referred in the United States and elsewhere as a wiener dog, hot dog, or sausage dog. Perhaps the most striking characteristic of the Dachshund is his deep and soulful eyes. These eyes rightly fit into his expressive face, which you can gaze for hours on end. The Dachshund can have three varieties of coat – smooth, wirehaired and longhaired – and these dogs can be standard-sized or miniature dogs. They have a wide range of colouration, the dominant colours and patterns being red, black & tan and the not so common chocolate and tan. If you are fun-loving, then you will love the company of Dachshunds as they are playful and fun dogs, known for their propensity to chase small animals, birds and tennis balls with great determination and ferocity. They are extremely energetic and good with children. The smooth coated Dachshund may be a little wary at first but would settle down very quickly. 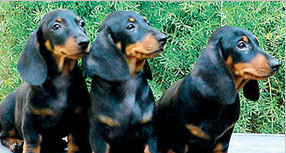 Among the three varieties, the long-haired Dachshunds are temperamentally the best. They would lick your face wet in no time! However, many Dachshunds are strong-headed or stubborn, making them a challenge to train. Before bringing a Dachshund pup home, ensure that he has a good parentage and his primary vaccinations have been taken care of. Ask your breeder for his vaccination card and the diet chart. Grooming : Start his grooming sessions early. Brush him daily and apply “Notix” powder once in three days. Check for ticks on the body and between the toes, inside the ears, etc, diligently everyday. However, it is not recommended to bathe the puppy until he is 3 months old. If the puppy gets dirty, wipe him with wet cloth and allow him to dry naturally. To clean the discharge from his eyes, use wet cotton only. Socialisation : Socialise your puppy at a very early age. All the family members should handle the puppy. Put your hands inside the mouth as this would help in giving a tablet when the puppy grows to an adult. This way you would be able to pullout anything from his mouth at a later stage. Training : Everybody likes a well-behaved and trained dog and earlier the training starts, the better it is. You can easily train your puppy to obey basic commands like Sit, Stay, Come, Down, etc. However, if your puppy disobeys, do not hit or shout at him, simply roll a newspaper and gently tap it on his back saying ‘No’ firmly. Dachshunds are known for their devotion and loyalty towards their owners. They are extremely energetic, full of beans, ready to please and good with children. If you have a garden, they will be busy chasing all the squirrels and catching the rats. An ideal companion dog, they can comfortably live in the apartment, provided they get their regular dose of exercise. No wonder then that they are the most popular pets in the United States, ranking 6th in the most recent AKC registration statistics. Dachshunds tend to put on weight and hence they must be regularly exercised. A minimum 1 km walk is advisable to keep them fit and fine. As most of the Dachshunds are extremely fond of the tennis ball, you can exercise him by throwing the ball around for a good 15-20 minutes. Smooth-coated Dachshunds require very little grooming. A regular brush down with a hound glove made of chamois leather will remove all dead hair and aid blood circulation. However, the Dachshunds with long-hair and the wired coats require elaborate grooming sessions. Though smooth coated Dachshunds shed very little hair, the long coated ones shed a lot of hair. This breed is known to have spinal problems, especially intervertebral disk disease (IDD), due in part to an extremely long spinal column and short rib cage. The risk of injury can be worsened by obesity, which places greater strain on the vertebrae. In order to prevent injury, it is recommended that Dachshunds be discouraged from jumping and taking stairs. I would like to conclude with the famous saying, “To err is human, to forgive canine” and those who are not blessed with the love of a canine, has been missing the wonderful bond of love and care. If you love to spend time with your pet, then Boxer is for you. For, here’s a breed who is fond of company at all times and loves to make you laugh. So, if you have a Boxer at home, you can expect a house full of giggles and fun for all family members, including other pets. Boxers are all about dignity, pride and love. “Perhaps the most pleasing feature of Boxers is his style which defies definition but if one wants to vocalise it, you can say that he has got a high-headed style, a debonair jauntiness and a ‘look-at-me’ attitude. 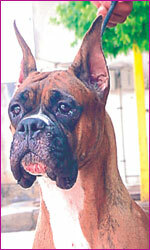 He walks the ground as if he owns it,” tells Shyam Mehta, a well-known breeder of Boxers in Gurgaon. The Boxer breed is believed to have originated from the Brabanter Bullenbeisser, which can be traced back to Belgium. Strong and agile, these dogs were used for hunting wild boars. His ears were cropped to prevent any potential injuries and tears from encounters with the boars. Back at home, Boxers proved to be excellent family pets, always eager to please their owners. And over the years, they have filled many homes with love, laughter and devotion. A look at Boxer brings out varied emotions – dignified, beautiful, well-muscled and square in proportion. “The coat is tight-fitting to body and gives an appearance of a ‘poured in look’ so that one can see the muscles of the dog rippling out of the skin, giving an exotic look,” tells Shyam. It is a treat for the eyes to see a Boxer walk – his muscular body moving proudly and his strides firm. The most unique feature of the Boxer is its head and that is why it is called a ‘head breed.’ “The muzzle is two-third of the skull and has a pronounced stop at the nose bridge and the length of the muzzle is short, giving a square look,” tells Mehta. The eyes are placed far apart and give an intelligent expression (And yes, they are an intelligent breed!). The ears are placed on the highest point on the skull. The Boxers can be fawn or brindle-coloured. The shades of fawn range from light honey colour to dark stag red while brindle-coloured have a brindling pattern on top of base colour which is well defined and profused. “The white markings on certain body parts (like muzzle, forehead, chest, neck and legs) give a flashy look. In all, white should not exceed one-third of the total body colour,” tells Shyam. The average weight and height of male dogs is 32 kg and 25″ while that of females is 28 kg and 22-23″, respectively. Those who are blessed with a Boxer, would agree that they are the most adaptable and versatile dogs. They are human dogs in their true sense – they love human company and always surround them, basking them in their love and attention. They are intelligent dogs and know how to behave with different family members – while they will love to wrestle with the young boys, they are delicate enough to play with kids and old people. They are fun-loving and cheerful. “A boxer will behave like a pup till the day he dies of old age,” tells Mehta. Moreover, they form good guard dogs and their looks are enough to keep potential intruders at bay. Mehta advises to bring a Boxer puppy home only when his first inoculation and deworming are through. “It is also important to ensure that the pup’s parents have overall sound temperament and good health,” tells Shyam. Other important factors to be kept in mind while picking a puppy include the happy-go-lucky nature of the pup and his interest in life around him. Besides, the puppy should not have running eyes or nose. “Also, use the same food that the breeder has been feeding him post-weaning as abrupt change in diet can cause diarrhoea,” cautions Mehta. He further suggests that crate-training a Boxer puppy is helpful as it becomes the pup’s own cosy corner and you don’t need to puppy-proof the whole house, thus avoiding accidents. Early socialisation is indispensable for Boxer for if they grow in seclusion, they can end up growing spooky dogs. “They will not be brave, thus they must be taken to all kinds of environments, sounds, smells and people. It also helps in their overall psychological development,” advises Mehta. However, the puppy should not be taken outdoors unless he is fully vaccinated. They are hardy dogs and are easy to maintain. Boxers are adaptable to extreme climates and cope up with all climatic conditions. They can live in an apartment, provided they are regularly taken out for romping in a fenced area. Just provide them the basic needs and you will be blessed with a dog who will spread joy and happiness in your life. They act like a clown and love to do things which you would watch and laugh. And whenever you will show willingness to play, Boxers are ready for the fun. However, Mehta says that it is vital to give obedience training to Boxers to make them easy to handle. A Boxer needs to be exercised regularly, which includes romping a couple of times a day. “Taking your Boxer out for romping three times a day for 10 minutes each, will keep him healthy,” tells Mehta. They also love to play with ball and would retrieve it for you. They simply love water and a good swim is what a Boxer likes on a hot afternoon. Boxers need minimal grooming and they are very clean dogs by nature. They do not soil indoors. Even though they shed, but since their coat is not long, it is not a big problem. “If you brush your Boxer 4-5 times a week, then shedding can be minimised,” advises Mehta. However, Mehta cautions that Boxers should not be brushed when they are unclean as it can aggravate the problem of shedding. “When the coat is dirty with grime, it becomes brittle after brushing. Thus, they should be first cleaned and then should be brushed,” he adds. Their nails should be grinded/clipped otherwise it will spoil their ‘cat feet’ and make them ‘splay feet.’ Besides, their ears should be cleaned regularly as the wax in their ears does not evaporate on its own. As for the dental care, Mehta advises that if you are feeding your dog on a commercially-available food, then you need not worry about his oral health but if he is fed on home-cooked food, then it is a good idea to get his teeth scaled at least annually to prevent bad breath and other oral infections. Boxers are not fussy eaters and it is advisable to offer them two meals a day. “In some dogs, offering one meal a day can accelerate digestion process which can lead to ingested food being excreted,” adds Mehta. They are healthy dogs and are not predisposed to any inherited diseases. Pick up the Boxer of a known parentage. Follow the complete protocol laid down by the competent vet regarding deworming and inoculation. A crate is an indispensable tool as it can confine your pup in your absence and save him from accidents. It also helps the puppy to learn house-breaking early. Feed him a well-balanced food. The intelligence, loyalty and tractability to discipline make Boxers desirable companions. They promptly respond to friendly overtures honestly rendered. Any play is fun for them. They love to chase balls and are fond of jumping up to 3-4 ft in air for apparently no reason and yet this excites them a lot. But, due to their heavy weight and short muzzle, they tire relatively easily and can get overheated. So, keep their plays intensive but short. When I see a Lhasa Apso, I feel poetry flowing through me…those flowing tresses, beautiful expressive eyes, nice body line…they have everything that a poet looks for. Here’s some more info about this exotic breed. One look at the Lhasa Apsos and you will see a fur ball with a nose, full of life and fun. “Having a Lhasa Apso as your companion, is like a dream come true. It is a treat to the eyes to see them walking,” says Kumud Singh, a breeder of Lhasa Apsos for the last 7 years. He is a real pleasure to be with. “His keen intelligence and steadfast loyalty make him an ideal companion,” tells Partha Sekhar Chatterjee, licensed judge of Kennel Club of India. Lhasa Apsos are small breed dogs who are not very tall and the proportion of their length and height is almost 2:3. They measure 10-11 inches at shoulder. 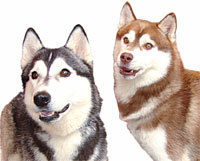 They have a dense, long, heavy and shiny coat with an undercoat. Their long coat serves as an insulation barrier, keeping them warm in the winter and cool in the summer. The coat grows to floor length, even covering the eyes, which are protected by long eyelashes. The texture of the coat is neither soft nor silky. A puppy starts developing coat between 4-6 months. “When they sit, you cannot distinguish between their head or tail,” says Kumud Singh. They have a healthy bushy tail which falls on one side of the waist line and is not hooked. Their eyes are covered with fur and the only thing that you can notice on their face is the tip of their nose. But, once a Lhasa looks into your eyes, you will be floored, such is the power and the charisma of this breed. Their eyes are simply adorable and the way they look at you is totally mesmerising. Their ears have a black outline. “Their coat varies over a wide range of colours and shadings from black at one end of the spectrum to solid white at the other,” tells Partha Sekhar. They are found in a lot of colours – golden, tri-colour on white (black, brown and golden), liver, sandal and sable, etc. They have a long life of upto 16 years and weigh around 5.9-6.8 kg. “A Lhasa Apso is assertive, with even temperament. He is receptive to socialisation which is an invaluable part of the training of every dog,” tells Partha Sekhar. “If a Lhasa Apso is looked after well, they make adorable and loving family pets,” tells Kumud. These dogs are good for apartment living and are very active indoors. They are wary of strangers and don’t make friends very easily. They are intelligent and are good with children as well. They make excellent watchdogs with a loud, persistent bark, which gives the impression to intruders of a much larger dog. They emanate an air of dignity and comedy at the same time. “A Lhasa Apso is a pleasure to keep as they fulfil all your emotions. They can be your children, your companion and your friend,” tells Kumud proudly. Kumud advises that it is better to adopt a 2-month-old Lhasa Apso puppy. They should be duly vaccinated, dewormed and fed properly. “The puppy should be handled moderately, included in family activities, and associated with pleasurable experiences at the hand of those who are now his family. In this way, he will not only learn to be responsive to human needs and ways, but will also learn the limitations that must be observed in his new lifestyle,” advises Partha Sekhar. “They are extremely playful and love to splash in water. However, they can fall sick and it should be avoided. Also, they love to put things into their mouth and care should be taken that they do not swallow things like plastic and polythene,” advises Kumud. They are easy to maintain as they are hardy and healthy. They love to go out for a walk and play games like fetching a ball, run around the free space, etc. “A regular walk is required to keep them healthy and happy,” tells Kumud. One thing that a Lhasa Apso owner should remember is that they thrive on love and we should shower them with it to keep them blooming. They are easy to groom. Comb their hair once a day to keep them silky and tangle-free. “A thorough grooming begins with a thorough brushing with the dog lying on his back or on a grooming table or on your lap. Begin by brushing the hair under his chin. Holding the hair in one hand, brush a layer forward with each brush stroke, making sure that each layer is brushed thoroughly right down to the skin. Proceed brushing the hair out one layer at a time down the length of his underbody to his hindquarters. Each time a layer is brushed out, brush it down to the skin. When the dog has been brushed thoroughly, use a comb to put in the part with the end tooth of the grooming comb with the dog standing,” tells Partha Sekhar. It is also important to keep their eyes clean as they are covered with fur. Use a cotton swab and water to clean them. A periodical check of ears is also required and so is to clean the areas between the paws digits. “They have minimum health problems if they are taken care of and inbreeding is avoided,” tells Kumud. Care needs to be taken of their eyes and ears. Kumud concludes that everybody should keep a pet as they serve as great emotional anchor and even children learn a lot of things from them. She, however, advises not to mix love with discipline and hygiene as this can later turn into problems which may lead to abandonment of pets.